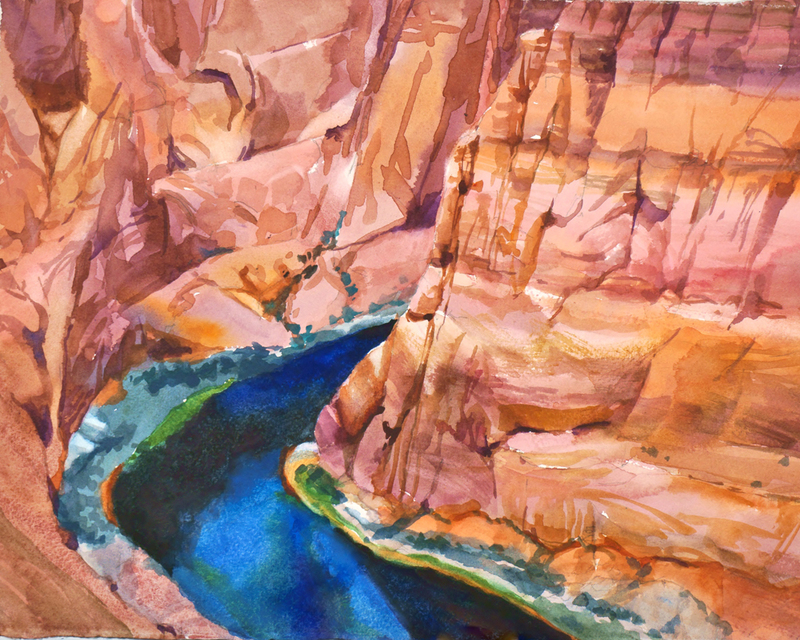 From ancient symbols etched in stone to plein air paintings of the Grand Canyon, artists have been using color, lines, and shapes to represent the Colorado Plateau for ages. 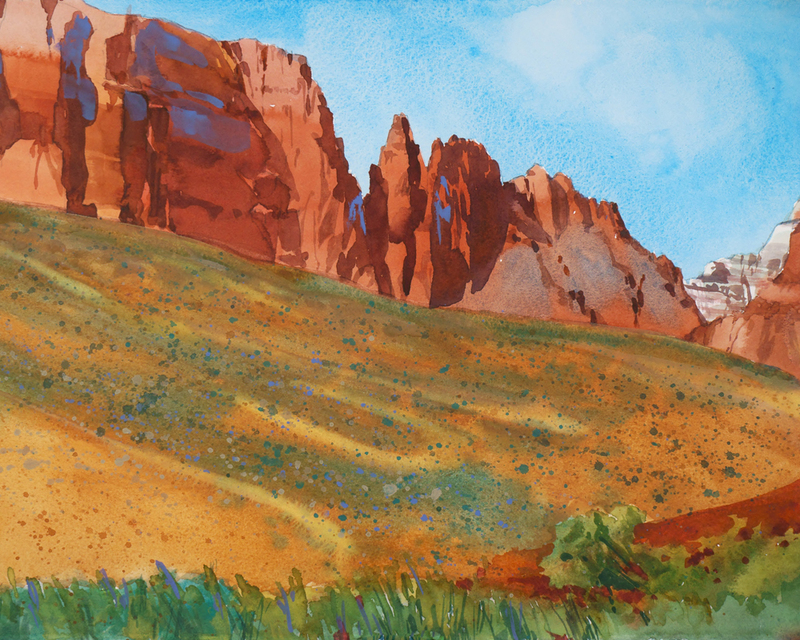 Today, we’re using art to show what’s at stake, tell conservation stories, and inspire people to take action on behalf of the land. 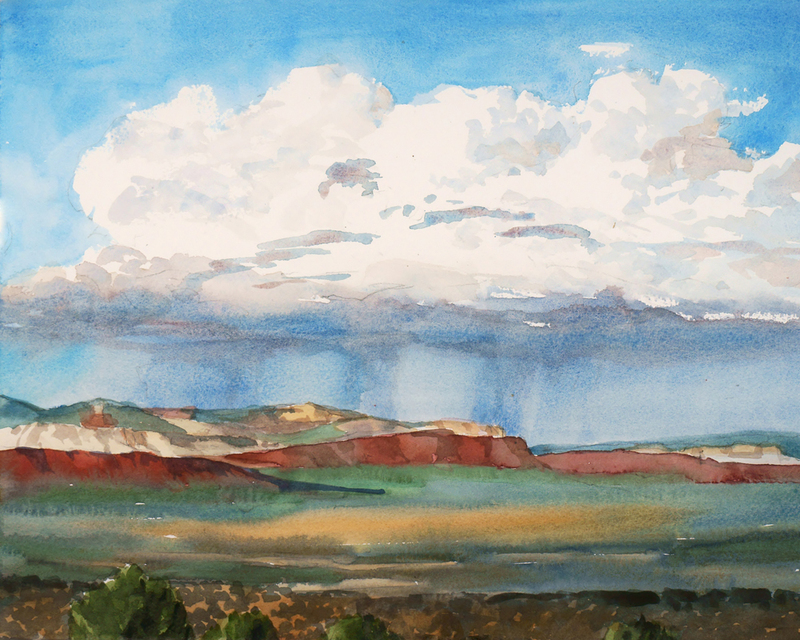 In October 2017, we gathered 12 Flagstaff artists together for a weekend at Kane Ranch, in northern Arizona. 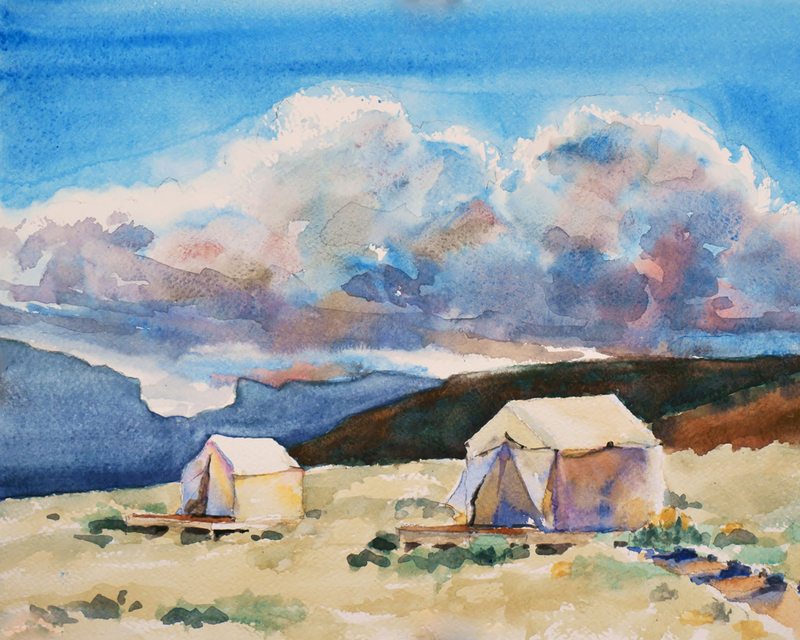 Their resulting artworks explore issues ranging from environmental injustice, to endangered species protection, to the simple beauty of the land. 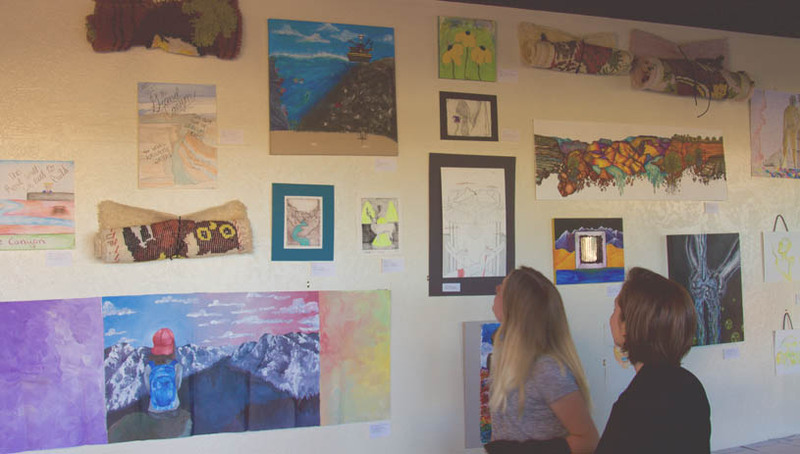 Flagstaff high school students are putting their creative energy to good use advocating for the Colorado Plateau. 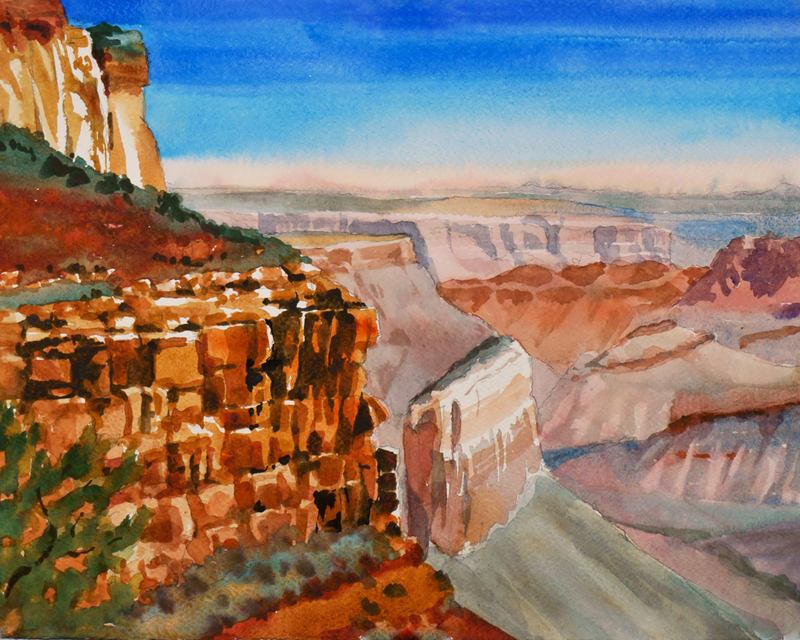 Through the Trust's youth leadership program, students have created maps, murals, and short films on issues ranging from uranium mining near the Grand Canyon to the protection of Bears Ears. 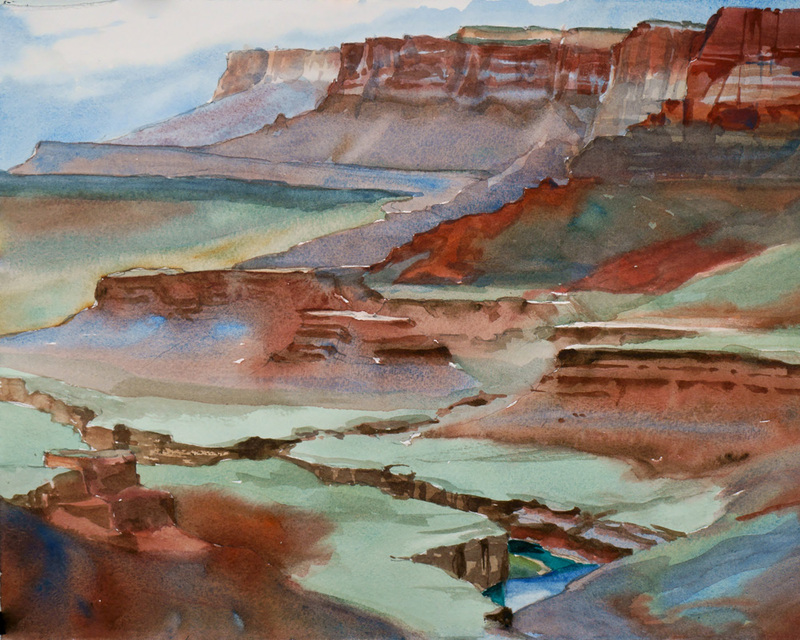 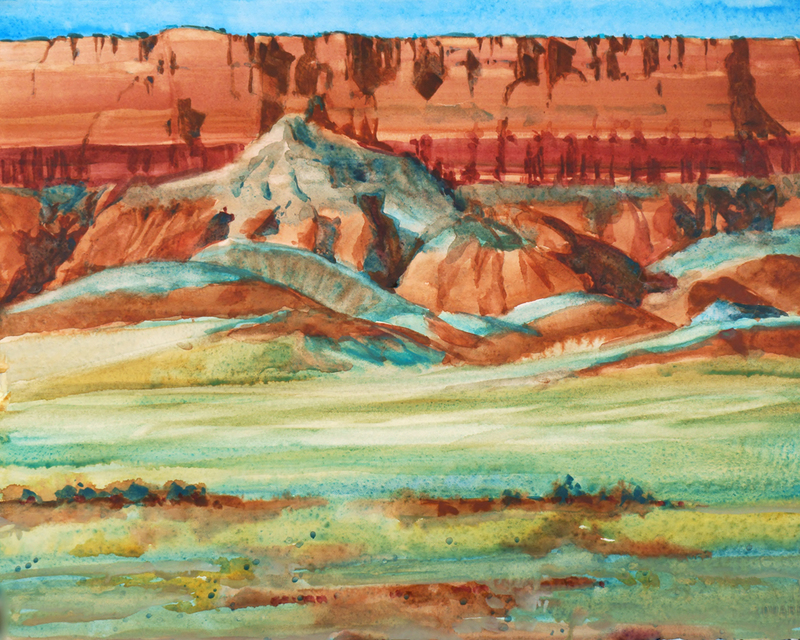 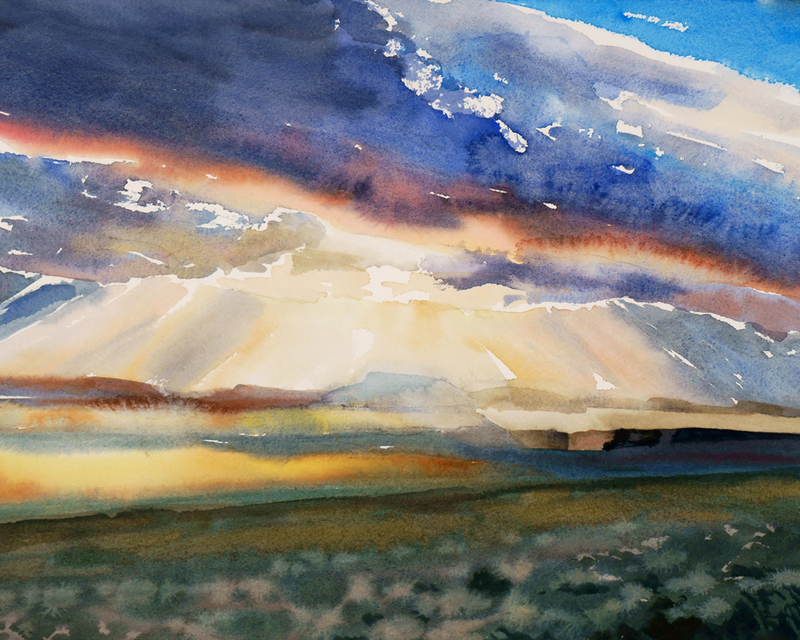 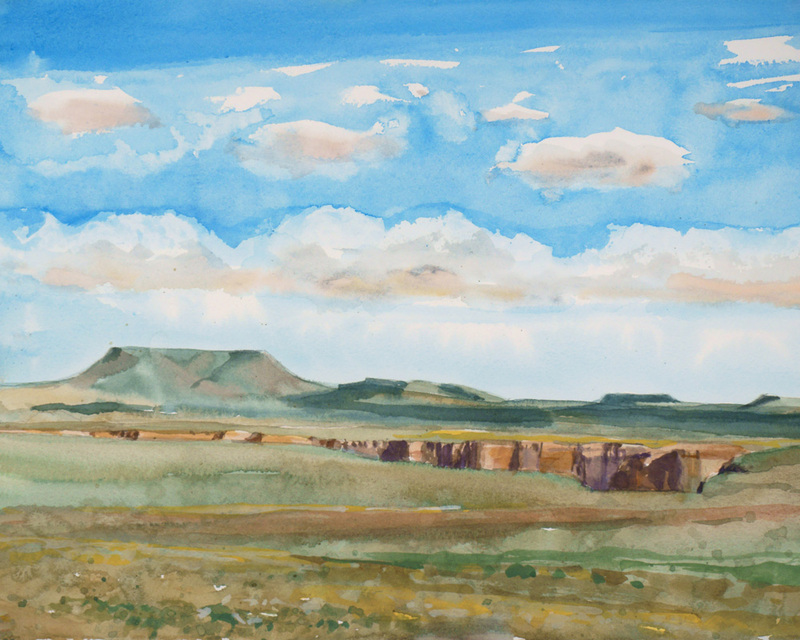 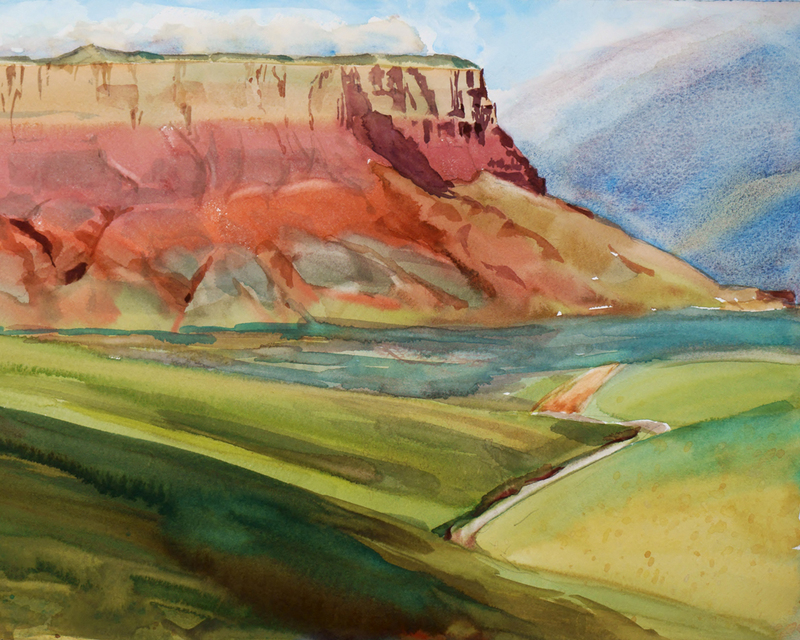 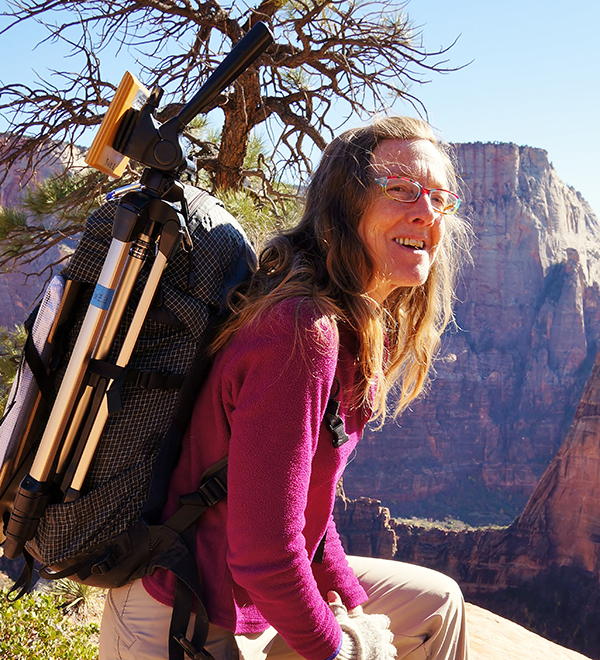 Watercolor artist Suze Woolf spent over 20 days at Kane Ranch in 2015, bringing the eastern edge of the Grand Canyon alive with brush and paint. 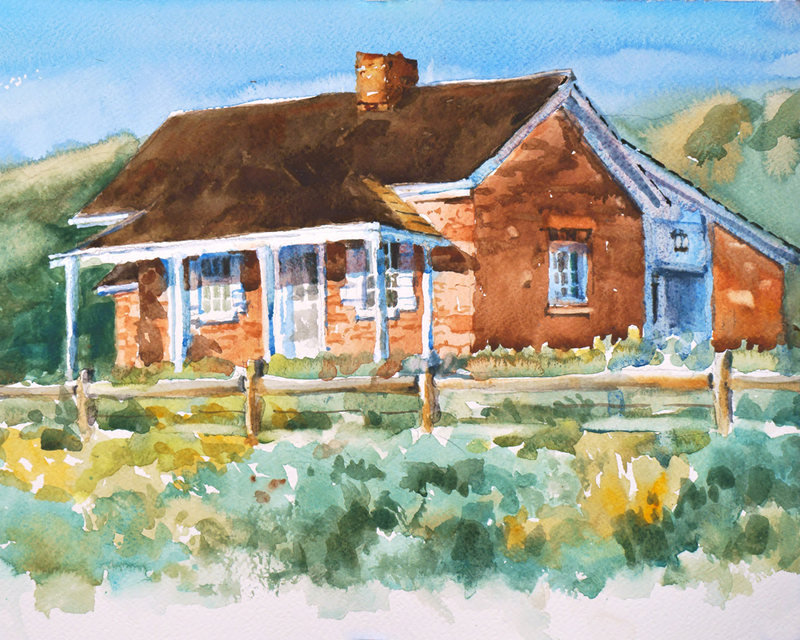 During her stay, she completed dozens of paintings and taught a weekend watercolor workshop. 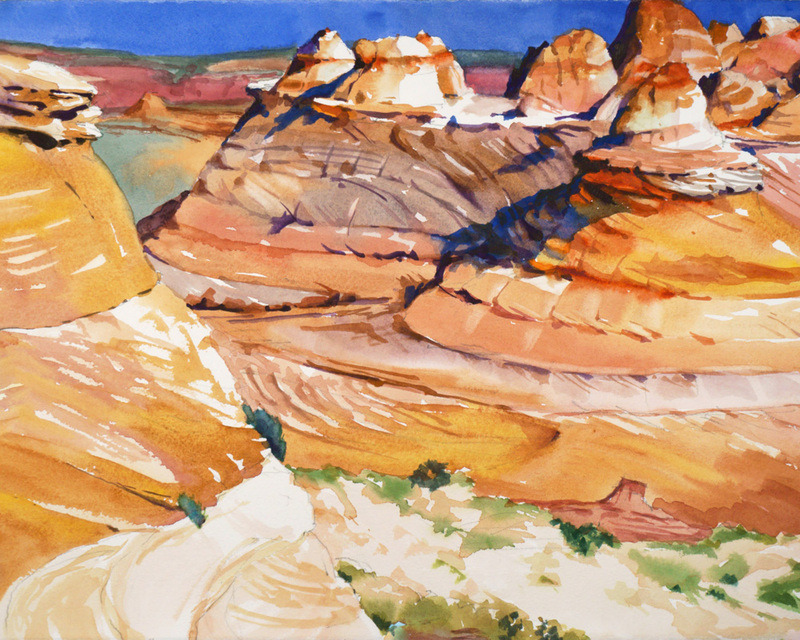 See some of her work below.